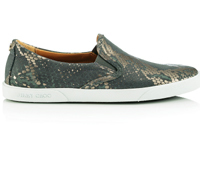 Fashion forward girls are in for some comfort, as brands like Jimmy Choo, Alexander McQueen and Stella McCartney are all equipped to power the seasona��s strongest trend a�� the sneaker loafer. 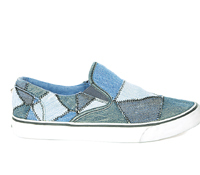 They come in all combinations a�� metallic, lace, with patchwork or fur. feature silver metallic leather. The understated logo of this New York-based brand is embossed on the shoe. `15,000. At Palladium Mall, Mumbai. Go all out with this Fendi high-top delight. The mink, goat and fox fur trim immediately catches the eye, while the velcro closure offers ease of use. Complete with patent leather inserts and comfortable crepe rubber sole, this suede number from the Resort 2016 collection is for your edgier side. `88,065. At DLF Emporio, New Delhi. 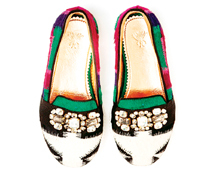 We recently discovered Sanchita Ajjampura��s quirky and comfortable footwear collection for the season. 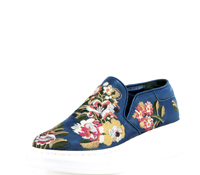 There are minimalistic sandals and a burst of colour from the sneaker loafers featured here. The Bengaluru-based brand uses the clash of colours intelligently, with glass bead embellishments and gold foil leather lining. Dona��t miss the hand-stitch detailing. You can be practical with lace, as online brand Intoto goes to prove. The soft blue see-through fabric gives the feel of extreme comfort and lends much-needed femininity to your look. The outsole is made of sturdy TPR, while the inset and lining of the pair is PU. `2,199. At Maalgaadi, Chennai.